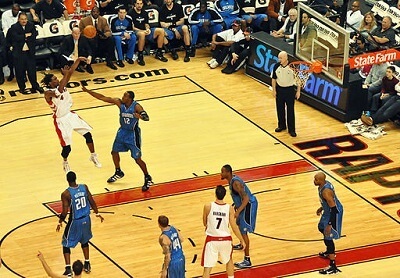 Get notified when Orlando Magic tickets are available! Founded in 1989, the Orlando Magic is a member of the Southeast Division of the Eastern Conference of the National Basketball Association. The NBA team has had several famous players wear its blue, silver, black and white jerseys, including Shaquille O’Neal, Grant Hill, Dwight Howard, Penny Hardaway and Patrick Ewing. The Orlando Magic play every home game at the Amway Center, which is located in Downtown Orlando. The arena opened in 2010 and can hold more than 18,800 fans for games. To be part of the action, buy Orlando Magic tickets online using the links above.